The small town of Tiberias located in the Lower Galilee and right at the Kinneret (Sea of Galilee) is one of the four holy cities in Israel. 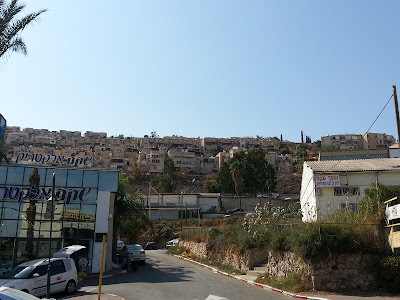 The other three are Hebron, Jerusalem and Zfat (Safed). Tiberias mainly lives from tourism and the majority of inhabitants consists of Moroccan Jews who came here in the 1950ies. 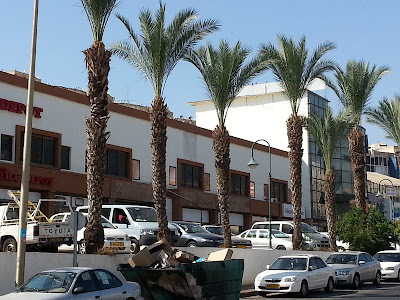 The town is secular but more and more Haredim keep on moving up north due to lower rents. Chassidut Karlin - Stolin has been building up its own community. Furthermore, the bought the building where Rabbi Menachem Mendel of Vitebsk used to live after moving to Tiberias. There are plenty of famous graves such as the one of the Rambam, the Ramchal, Rabbi Akivah, the grave of Rachel (Rabbi Akivah's wife which is supposed to be a fake). Rabbi Me'ir Ba'al HaNess is buried in Tiberias as well as further famous Zaddikim. 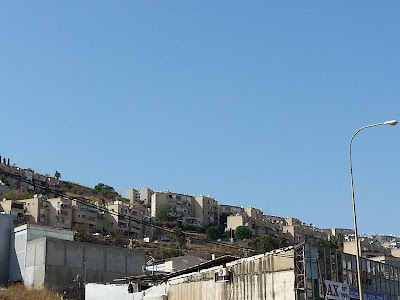 Today Tiberias is a rather poor town. Not much to do and the job situation is pretty bad. Many people are on the dole and some neighbourhoods are populated by poor Russian immigrants. Going from street to street in Tiberias demands you to be sportive. The lowest part is the Kinneret but then you need to climb up the hill which isn't easy in the tropical summer heat. I may be wrong but, as far as I know, there only exists a small English - speaking community in Tiberias. If you are from places like New York, LA, Miami, Melbourne, Jo - burg, Toronto, London or Paris, and you are considering making Aliyah up north, please take into consideration that places like Tiberias, Afulah, Carmiel, Kiryat Shemonah or the Golan Heights demand fluent Hebrew. In some places up north (except for Zfat) you may be easily lost if you only speak English and no Hebrew. Furthermore, don't forget that shops close during the afternoon hours and that life is basically village - like.